As IT departments across the world move more virtualization and virtual technologies into their datacenters, they face new challenges and often confusion about best practices, particularly around server and data protection for business continuity. New disaster recovery and high availability technologies have emerged based on server virtualization, and many assert themselves as the best way to protect virtual machines and data. 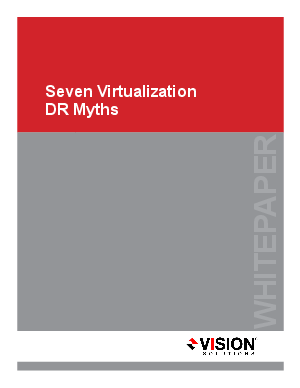 Myths about virtual server and data protection have risen from these virtual technologies, this paper aims to debunk at least seven of them.